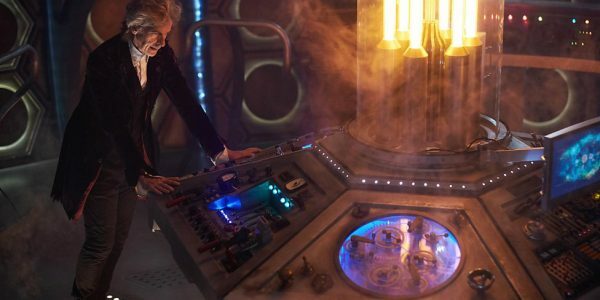 "Double the Doctors, half the excitement "
"Twice Upon a Time" is a Doctor Who Christmas special that marks not just the end of the Capaldi era, but also the end of the Moffat era—and as the swan song of both a Doctor and a showrunner, it's a remarkably unremarkable and an unusually subdued episode. 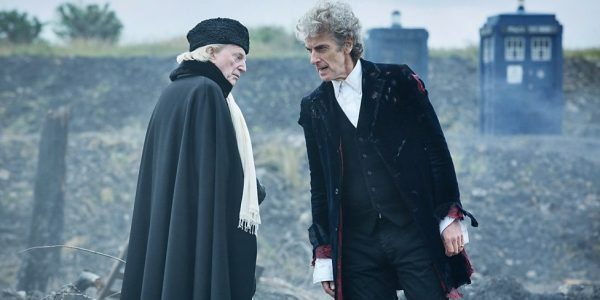 Whereas the last two regeneration stories were both huge, bombastic and often quite ridiculous, "Twice Upon a Time" is a quiet, introspective little adventure starring the Twelfth and First Doctors (David Bradley sort-of-reprising the role, since he played William Hartnell in "An Adventure in Space and Time"). Both are on the cusp of regeneration and steadfastly refuse to do so. After the intro gives us a nice throwback to Hartnell's last outing and a quick explanation as to why the First Doctor is more energetic and looks slightly different, "Twice Upon a Time"'s story kicks in proper with the arrival of a time-displaced World War I soldier (Mark Gatiss). The curmudgeonly First Doctor combines the embarrassment of remembering what you were like when you were younger with the embarrassment of dealing with an older relative with outdated views and no filter. It makes for an interesting dynamic and it works to show how much the Twelfth Doctor has grown as a character from his brash, insensitive early days. However, "Twice Upon a Time" doesn't dig into the relationship between the two incarnations nearly as deep as it could and probably should. Twelve points out that if the First Doctor doesn't regenerate, that would erase all his future selves, leading to catastrophic consequences for the universe. You would think that the First Doctor would call him out on the hypocrisy of demanding your younger self regenerate while simultaneously refusing to do it yourself, but that doesn't really happen. In fact, by the end of the episode, it's not really clear why both Doctors change their minds and decide to regenerate. They bicker and banter and eventually warm up to each other, but there's no sense that what they go through has convinced them to keep on going. 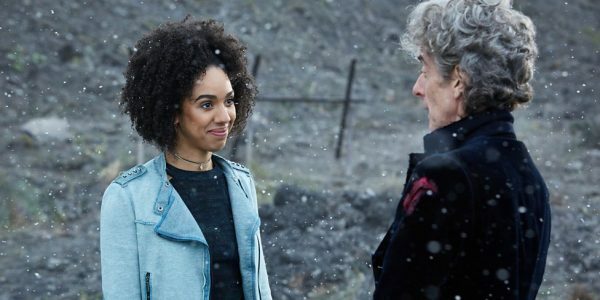 Fan-favourite companion Bill Potts (Pearl Mackie) returns (or does she?) and a few other familiar faces show up to give Twelve a proper send-off. It's good to see Bill again, although the constant arguing about whether or not it's really her or not gets grating. "Twice Upon a Time" feels very restrained and all too familiar. The Doctor gives a big speech about how much he's lost and suffered over the years, except this time he uses a slightly different metaphor than the last time he gave a big speech about how much he's lost and suffered over the years. There are Daleks in the episode, because Daleks. They crawl around outside of their shells and jump on people like facehuggers. That one "good" Dalek from three seasons ago comes back and has scenes. Yep. Clara comes back for about two second and the Doctor remembers her again, or maybe he doesn't, because it's not like having those memories seems to change anything in any way. Yep. It honestly feels like Moffat is stepping on eggshells with this one, trying far too hard to not be controversial or divisive. He's a very hit-and-miss writer, but one thing his episodes could hardly ever be accused of is being boring. It's almost like "Twice Upon a Time" is scared of being interesting. The Doctor gives another big emotional speech right before he regenerates and none of it sticks. I was conscious of the fact that Capaldi was giving a great performance, but the words were going in one ear and right out the other. Previous versions of the Doctor's regeneration could be boiled down to one single, defining moment - Nine says he's fantastic and goes out with a smile, Ten doesn't want to go, Eleven takes off his bow-tie. Twelve doesn't have a big moment like that. Jodie Whitaker's Thirteen makes a very short appearance at the end of the episode, which signs off with a cliffhanger reminiscent of "The Eleventh Hour." It's not a very exciting "To Be Continued" for an otherwise very exciting Doctor. 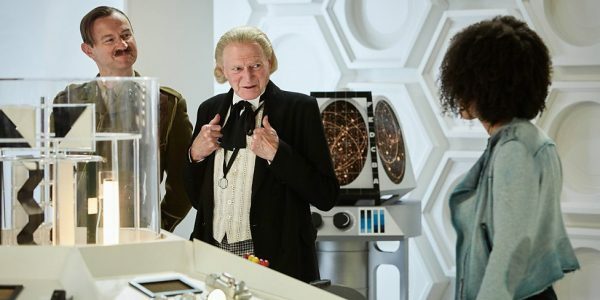 There are undoubtedly some good character moments and funny lines in "Twice Upon a Time," but for the most part it's an utterly pedestrian episode. Serviceable and unremarkable. As a multi-Doctor story, that's bad. As a regeneration story, it's unforgivable. It ends up representative of the Capaldi era as a whole - a great Doctor who deserved way better.